There is something unquestionably powerful about the mountains. Their presence in our world is unmistakable. I am lucky to live in the shadow of one of the world’s great mountains, and blessed by the gift to be able to visit it often. Yesterday was one such occasion. I am consistently amazed by the majestic power of Mount Rainier. I am in awe of that mountain. 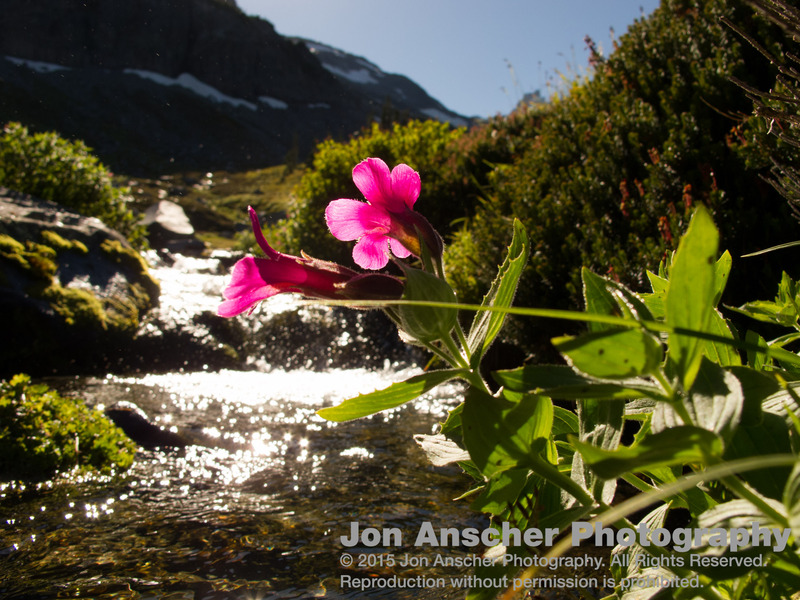 Every time I go, I wish I could live there: play in the mountain meadows, swim in the alpine lakes, and commune with the ecosystem of creatures that exist there. It seems that as I’ve grown into my spiritual practice, Mount Rainier has more and more gifts to reveal to me. Each time I go there now, I am surprised by yet another amazing sight. And this time was no different. 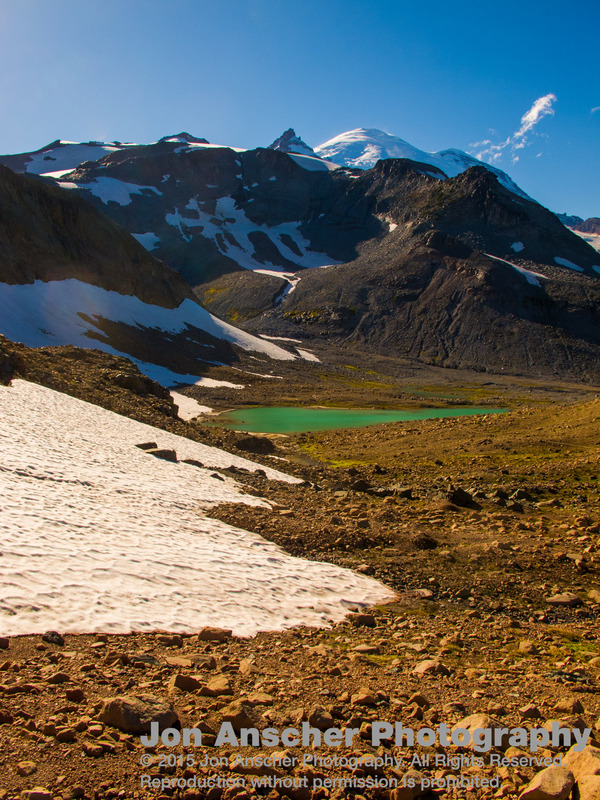 In our short one day on Rainier’s hiking trails, we saw three bears, two gaggles of goats, several marmots, and no end of birds, squirrels, and of course bugs :-). 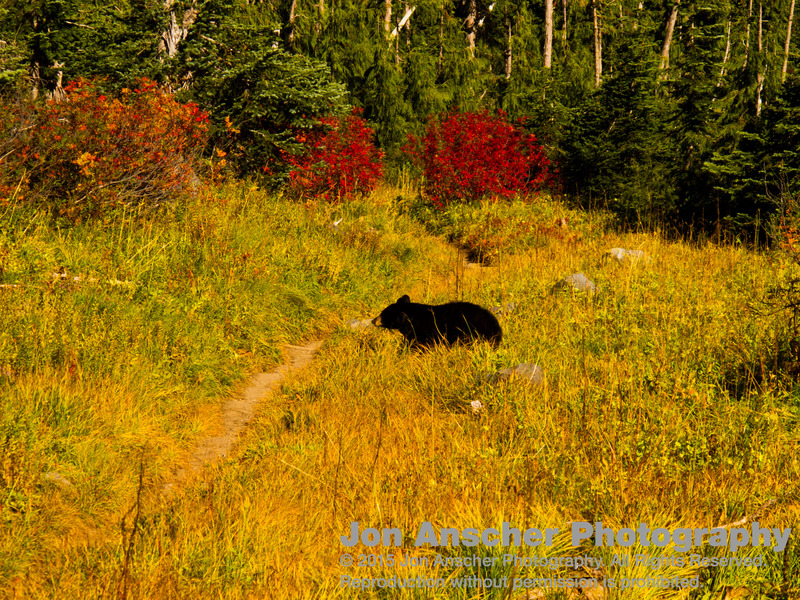 Our first big encounter with nature’s majestic wildlife was a mama bear and her cub, wandering through the sub-alpine valley of Frying Pan Creek. They meandered at their own relaxed pace from busy to busy, searching out huckleberries and other mountain fruits. The mama has no interest in us hikers as she saunters through the valley, switching back and forth over the hiking trails. I was lucky enough to catch her at one such crossing as she checked the bushes for what prizes they held. As I sat there, in awe of this amazing creature, hikers behind me were calling to get away, to not get to close. And yet I knew, this bear had no interest in me and the strange people with me. This bear was in the moment, present with what she was doing. As I sat and watched her foraging through the bushes, I was brought back to blueberry picking in the Pennsylvania mountains. Every once in a while, we would go to a blueberry farm, get a tin bucket, and we’d walk through the rows and rows of blueberry bushes, hearing the “ping” as our blueberries hit the pale. As I would walk the silent maze of blueberries, I would be transported to a place of pure tranquility. That was where I was standing right now, watching this bear, I could have stood in that very spot, completely still, for hours, watching as she meandered this quiet valley. This was my heaven. But, even moments frozen in time must be allowed to pass if we are to stay present in our lives. So, onward we went, up above the sub-alpine forests and valleys to the alpine meadows above. There is no description, no picture, no video that can truly convey the splendor of that place. Summerland is perhaps the most beautiful mountain meadow I have yet visited. Up there, a bush or small tree might take as many decades to grow as the old growth forests of the Olympics. In the late summer, the meadow is covered in alpine flowers, and no matter what direction you look, you find yourself in awe. As fall sets in, the flowers begin to fade, making those flowers that continue to thrive even more rare in their glory. Summerland in the early fall is the perfect place to ponder both the huge and the tiny. If you spend all your time examining each little tiny rock and plant, you would never get high enough to see the magnificence of Panhandle Gap. And yet, if all you see it the hugeness and glory of the landscape, you would miss this tiny pink flower that my hiking buddy spotted as we stopped to fill our water bottles. A lone flower, still holding onto life when the rest of its kind have shed their pedals for the upcoming winter. So we struck a balance, stopping to smell the roses, but also moving forward to see what else this day had in store for us. The beautiful thing about being in the mountains, is that there is no schedule. In this place, there is a different sense of time and space. And we were in no hurry to get anywhere other than where we already were. As we climbed above the alpine meadows, we found ourselves in the moonscape. That place where life must fight to exist in the tiny cracks of open space. This place that only months before had been almost entirely covered in snow, was now melted out to reveal a multicolored rainbow of stone and earth. Here rock slides, avalanches and the advancing and receding snow line shape the landscape into a maze of hills and bowls, peaks and valleys. 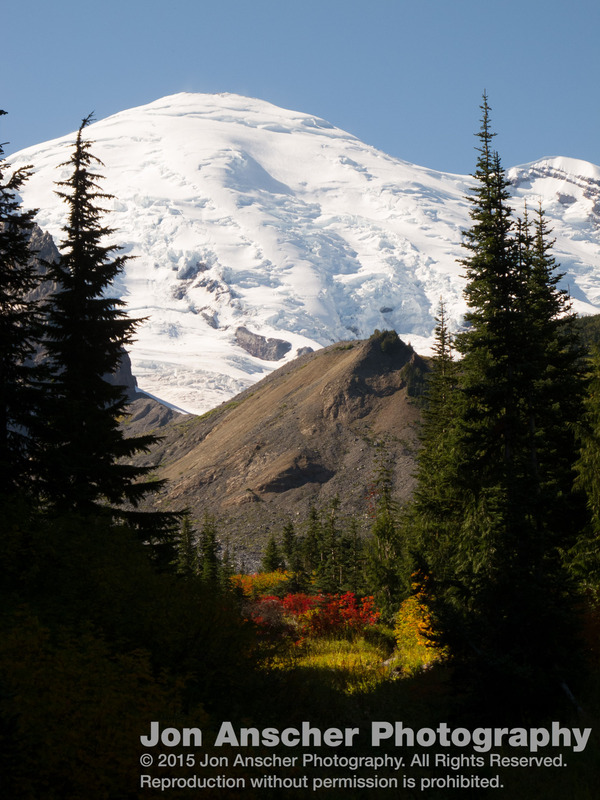 And the farther up we climbed, the more majestic Mount Rainier became. And then, with our last steps, we reached the high point of our climb, a small saddle between two different worlds. On one side a rocky moonscape all the way down to Summerland, and on the other, a vast alpine meadow all the way to Indian Bar. We had heard rumors on our way up of a gaggle of goats, but upon reaching the crest of Panhandle Gap, there were no goats to be found. That did not take away at all from the amazing panoramic view of the valley below and the massive Mount Rainier. We stopped at the windy gap, and kept turning in circles, still awestruck at the beauty despite this being our second visit to this part of the mountain. We looked at our watches and, having nowhere to be today, decide to strike out across the alpine meadow, in hopes of getting another peak down at the colossal Indian Bar Valley. Within minutes, we saw the goats across the valley we were now crossing. A couple of goats roamed and foraged through grassy meadows of the mountain. Even though we had stopped just minutes before, we did not question that we had to stop again. Finding a comfortable rock, we both sat and admired these hardy mountain animals. 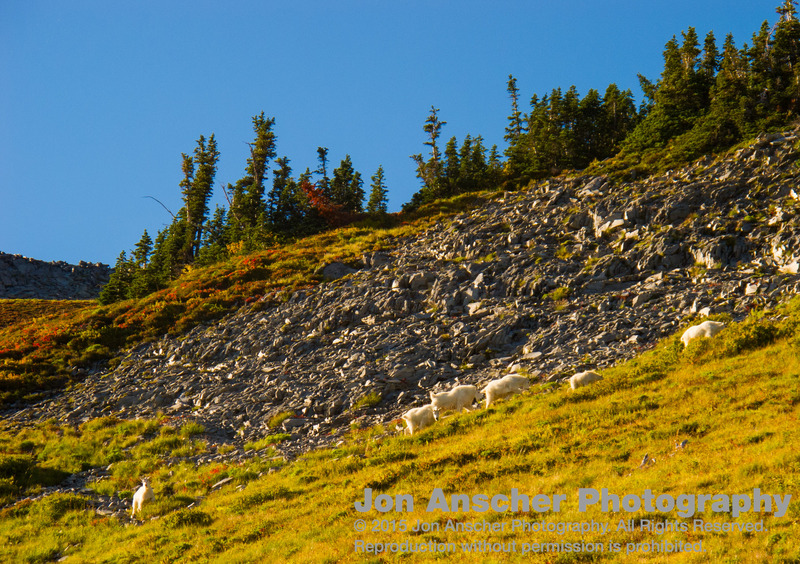 Living off whatever they could find – for food is scarce in this terrain – these mountain goats survive where few could. As we sat, we were blessed with yet another sighting: another black bear, crossing the valley several hundred feet below the goats. We were amazed at how quickly it navigated the side of this mountain, wondering to ourselves where he was going and what was driving him there. We continued onward, pushing one last bit before we turned around for the day. And, coming around a corner, we were startled by a second group of goats, eating off the meadow above us. They checked us out, but were otherwise undisturbed from their eating. To see not one group of goats, but two. To see not one, but three bears, and to be in this amazing landscape. I was overcome by the synchronicity of this place. By the calling to be in this place, to stay in this place, to live in this place. I knew in this moment in time, and as we journeyed back, seeing again the sights we had witnessed on our way up, that this was an incontrovertible part of my spirit. I was connected to this place, to these creatures. I could sit for hours, just watching them, photographing them, sharing this moment with them, with this place. Spirit is a funny thing. It is amazing where and when it will speak to you. And here, in the mountains, on the majestic Mount Rainier, spirit speaks to me often. There is something about that space to which I am intrinsically tied.